Cloud Zephyr - Ponyville Live! Hey I'm Cloud Zephyr. 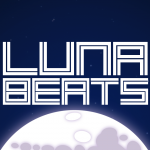 I am a 16 year old Trance DJ who has a show named Luna Beats on Canterlot Hill. I play a variety of genres such as Progressive and Deep House however I mainly focus around Trance because it's the best :3 Eventually sometime in the future I will make my own music but will see.